Monitoring Technologies New Zealand Limited (MonTech) in New Zealand. First developed in 2006, the Diver DACAD System™ is a New Zealand developed diver monitoring and tracking system that monitors various parameters including depth, air, water temperature and range to diver – and it accurately tracks and positions divers within a range of more than 2.0km in ideal conditions. Diving is dangerous – in fact for exposure duration it’s the most dangerous work in the world. The Diver DACAD System™ was developed to improve diving safety for use in the Military, First Responder, Construction and Commercial Diving industries. The Diver DACAD System™ is a revolutionary and innovative product designed by divers for divers that will keep track of your divers’ position – and their health. The Diver DACAD System™ is a proud New Zealand innovation – fully developed, produced and manufactured in New Zealand. The Diver DACAD System™ is patent protected throughout the world. It’s New Zealand patent 560653 is granted and sealed with a priority date of 15 August 2007. Patent Cooperation Treaty (PCT) Patents have been filed in the USA, Canada, Europe and Australia. 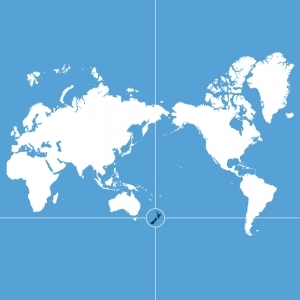 The Diver DACAD System™ is controlled by New Zealand Strategic Goods with some variants also controlled under ITAR (International Traffic in Arms Regulations), Significant Military Equipment (SME). A non-regulated version will be available soon. © Nautech Electronics Limited 2006-2016. All rights reserved. The names “Diver DACAD System”, “DACAD” and “MonTech” and the MonTech logo are our trade marks and must not be reproduced.